How many of you had ‘go greener’ in amongst your 2019 goals – business or otherwise? I didn’t bore you with my New Year targets but I can tell you I did include this one this year. Quite why I’ve never had it in there before has bugged me, but hey I’m trying to fix that now! We’ve always done our best as a family to ‘do our bit’ so naturally a number of my business practices are in tune with the eco-agenda. But, with the message that every little change helps, I know I can do more. And I totally sign up to it being a small business responsibility too – not just the corporate giants. So I’ve done a bit of an audit, made some further changes, and thought it might be helpful to share some of the things I’m doing. Not to be all preachy, just simply to share it in case it helps anyone else. And also to prompt anyone to make further suggestions – I’m no expert – and totally open to other ideas. So a big one for me (for some time now) has been to go totally paperless. Not easy actually but it is doable. I admit to using the printer on the odd occasion but I really do question each time whether it is absolutely necessary. I no longer keep hard copies of invoices – something I used to do just for my records but actually there really is no need. Just make sure you’re using a sound system with back up just in case you need to present the information at a later date. I haven’t printed scripts for some time now either. I use my ipad, an Apple pencil to mark things up and an app called iAnnotate. It’s totally manageable in a live session too when you’re taking direction (and scribbling notes). For any bits of paper/plastic that you do have and need to get rid of then a simple recycling system in your office is a quick win. And on the odd occasion that I do crank up the printer I make myself feel a little better by using recycle4charity.co.uk to send my ink cartridges. It’s quick and simple to register and you help raise much needed funds for your chosen charity – go and check it out if you hadn’t heard of it! Linked to the subject of paper, and one perhaps forgotten is your business cards. Renewing mine is on my list so I’ll most certainly be thinking greener about what they’re made of and where I source them from (and any marketing materials to that matter!). Also anything you buy for your business, if possible, a greener procurement approach is the way to go. Questioning first whether something recycled is a possibility but where that’s not appropriate then source from sustainable providers where possible. I know I’m guilty of not always asking myself some of these questions but will be doing my best to change that. Our energy contract was up for renewal recently so we’ve now moved to Pure Planet an app only renewable energy supplier. We’re delighted to be saving money (it was cheaper than our existing provider, which was one of the big 6! ), save time (through the use of their efficient app) and of course the planet! 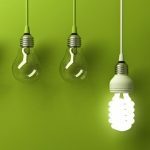 There are of course other ways to reduce the energy use in your office – we all know what they are – energy efficient appliances, being mindful of what we use etc. I just need to be more proactive about putting them into practice (*quickly switches light off in the currently unused booth!). I guess the one to finish off on that us VO artists are not necessarily able to reduce is our water consumption! We’ll be more careful with the usage in our homes to counteract the amount we drink perhaps?! So on that note I’ll sign off with the message that small changes are not insignificant, they do make a difference and will help for generations to come. So, join me in joining the green scene in any way you can. And if you have any of your own small business going-green tips – please do share!